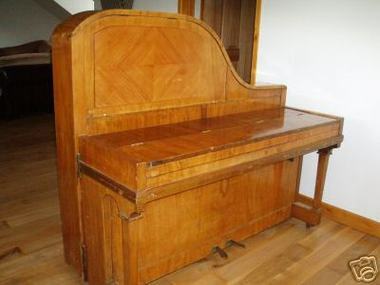 If you're looking for a special piano but don't have the room for a grand piano then how about an upright grand ? This one, made by Robert Morley around 1928, sold for an incredibly low price of £200 on Ebay a while back. I have an identical piano to this one!